Dandruff if not taken care of can get quite annoying and embarrassing so it's time you say your final goodbye to it with the Oshea Herbals Neem Clean Anti Dandruff Shampoo. 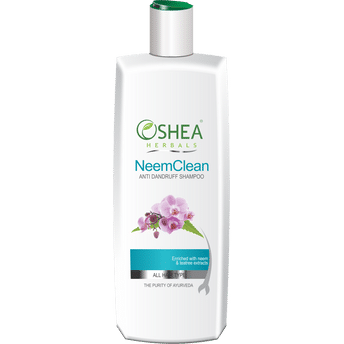 Containing powerful natural ingredients known for their antibacterial, fungicidal and antimicrobial properties, it targets the scalp and controls excess sebum production. Scalp feels calm and free.